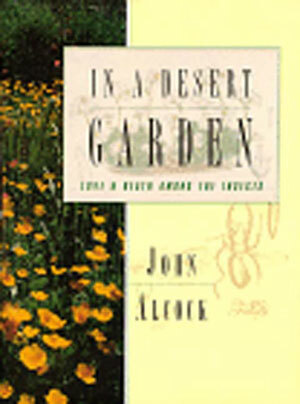 An elegant combination of meticulous science and nature reverie that draws its reader into the diverse, competitive, and even seductive world of desert plants and insects. With canny insight and bone-dry wit, John Alcock, a specialist in the ecology of the American Southwest, introduces us to the lives and loves of desert insects as they forage through his backyard oasis. Creating his own desert garden behind his suburban home in Tempe, Arizona, Alcock scrutinizes every square inch of soil detailing the exotic plant life he finds and offering tips on its peccadilloes and preservation. The true heroes of this story, however, are the bugs of Alcock's backyard. We are drawn into complex plots almost biblical in nature of life and love, survival and death. Two male earwigs caught in each other's pincers battle for a prized female. A female mantis finishes copulating, beheads her mate, and cannibalizes his body for its precious protein. With each detail, Alcock pieces together the entire ecosystem of his desert paradise. 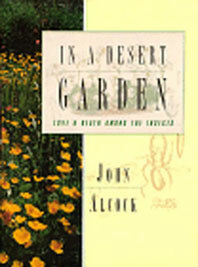 Always amusing and instructive, and sometimes dramatic, In a Desert Garden provides an eye-opening meditation on the joys of planting, weeding, pruning, and, most of all, bug-hunting.